Will Gabrielius Landsbergis‘ re-electiion lead to a fracture in TS-LKD? 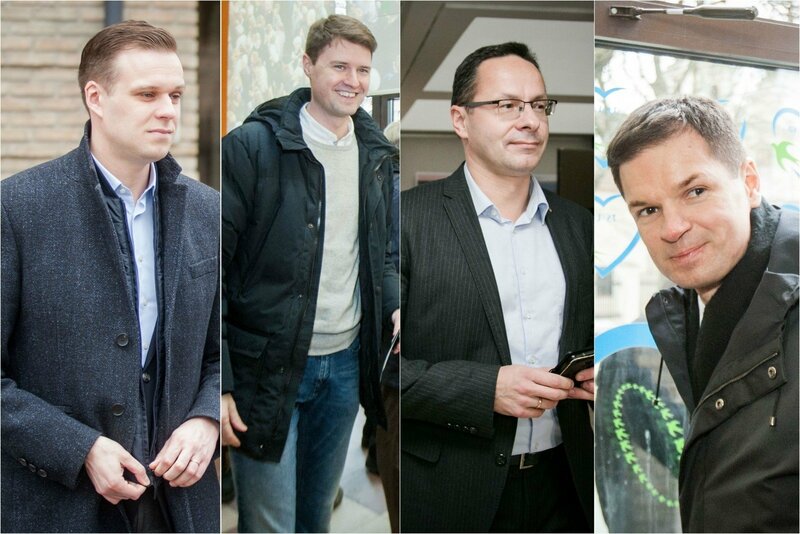 The majority of the Homeland Union – Lithuanian Christian Democrats (TS-LKD) members supported the young current party Chairman Gabrielius Landsbergis in the chairman elections where he faced off against the Christian Democrat wing Paulius Saudargas and Žygimantas Pavilionis. According to political scientist Vytautas Sinica, G. Landsbergis directing party ideology toward a more liberal paradigm leads to an inevitable internal split, Lzinios.lt reported. As V. Sinica told Lietuvos Žinios, the Christian Democrat wing of the TS-LKD will either have to separate from the party or relinquish its ideological basis and be absorbed into the Conservatives. Nevertheless the expert stresses that the Christian Democrats have already missed the ideal opportunity to separate because their ideological niche is now firmly occupied by the “Peasants”. - Christian Democrat representative Paulius Saudargas attempted to challenge G. Landsbergis in the TS-LKD chairman elections. 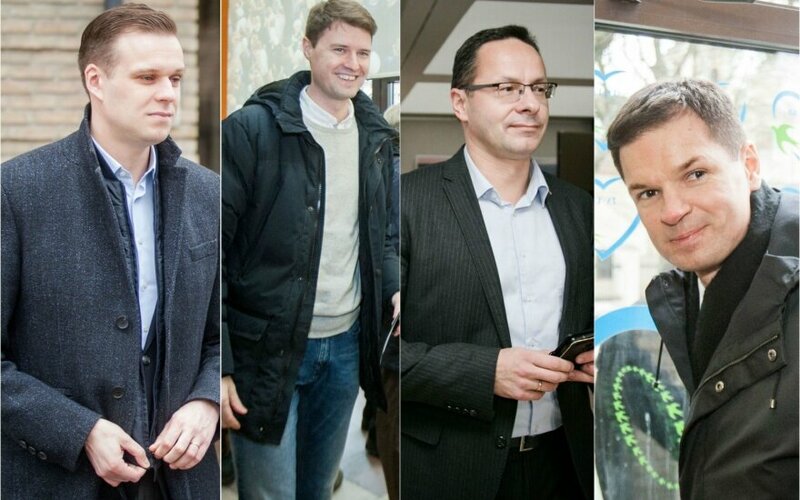 How do you view the Christian Democrat wing’s prospects after G. Landsbergis’ victory? The Christian Democrats’ future in a party with the Conservatives is becoming impossible. In recent years both sides have said they can coexist. Both P. Saudargas and G. Landsbergis have spoken to great extents how variety benefits the party. However in the past half year G. Landsbergis’ rhetoric shifted, the need for a unified ideological position became more expressed. Proposals to remove the letters LKD from the party name are rather telling. - Is this how G. Landsbergis is seeking to show party unity? More likely this is a rejection of duality. It can be said that this process proceeded in three stages. When the party was led by Andrius Kubilius, despite his somewhat more liberal views, the party was still essentially conservative. G. Landsbergis and his new team took up leadership pursuing a shift in the party’s direction toward the centre of the political spectrum. While both the previous and current term’s TS-LKD Seimas group is more conservative in its views, he has taken up shifting the party’s course through its organisational structure. The occasional support of Vytautas Landsbergis for such shifts has also helped. The final stage is G. Landsbergis’ victory in the chairman election. The TS-LKD members have expressed consent for the changes he has initiated, though most party members likely expressed support for the surname and not the programme of change, but their votes will be, no doubt, interpreted by G. Landsbergis as a mandate for his proposed changes. I believe that this is understood by both Ž. Pavilionis and P. Saudargas, who lost in the election. I cannot imagine how, given their views, they see their place in this party. - What options can the Christian Democrats opt for now? To separate. The time is not suitable for it though. It should have been done immediately following the Seimas elections when opinions diverged in the TS-LKD over forming a coalition with the “Peasants”. Ramūnas Karbauskis sent such signals and many Christian Democrats were discussing such offers fairly openly. Furthermore, separating now they would need to seek their own niche and the Christian Democrat niche in Lithuania is currently occupied by the “Peasants”. If you are to describe the Christian Democrat ideology in classical 20th century terminology, it varies from socially sensitive economic policy in the left to conservative moral-cultural ideology in the right. Both of these appeal to the Lithuanian public. Many are not practising Catholics, however being conservative members of society they profess such views. The Peasant and Greens Union became the party to successfully make use of the combination of social justice and conservative moral values. - It would appear that the “Peasant” strength is based on personalities and not ideology? Perhaps the latter does not even exist? Irrelevant of how important the personalities are, R. Karbauskis is a strong party leader, his word is final. He has ideological views that are akin to Christian Democrat ones, despite his professed Romuva [pagan] religious identity. Many “Peasant” party and group members may not adhere to consistent ideological values, but in this case what matters most is the management’s stance. - Thus if the Christian Democrats opt to go their own way – their niche is occupied. In such a case, if they truly choose to separate, the Christian Democrats would have to hope for major misfortunes to befall the “Peasants” in governing, that their ratings would drop and the niche would be freed up. Another option is to hope that after separating the Christian Democrats will be needed by the “Peasants” as allies. - In your opinion the Christian Democrat ideology has public support and this is proved by the “Peasant” victory? Firstly in Lithuania it is usual to think of ideology as law. Meanwhile it is actually a set of spatial coordinates. Perhaps due to the poor economic condition of the people, perhaps due to the Soviet-formed habits, that more support has to be provided by the government, many people are inclined to the left in economic policy. However in terms of values, on the moral scale they lean to the right. The Christian Democrat ideology appeals to both components. Even if the votes of Lithuanian voters are successfully drawn in by appealing personalities, this ideology is definitely not repulsive. - But the Christian Democrat and Conservative ideological differences never appeared significant? Conservatism is not bound to anything specific as an ideology, it constantly changes. None of the famous proponents of conservatism has claimed that conservatism demands certain positions. The Conservatives try to moderately evaluate new things and choose from the best available innovations. Meanwhile the Christian Democrats are bound to the social teachings of the Church, something that does not shift. In the West this difference between conservatives and Christian democrats has surfaced earlier, while in Lithuania – several years ago when G. Landsbergis arose as a new generation leader seeking to gradually take the political power toward liberalism.